This book was produced by George K. Thiruvathukal for the American Institute of Physics to promote interest in the interdisciplinary publication, Computing in Science and Engineering. It accompanied a limited edition set of playing cards that is no longer available (except in PDF). 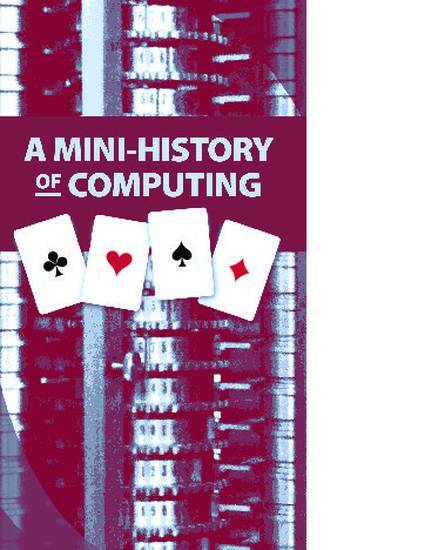 This book features a set of 54 significant computers by era/category, including ancient calculating instruments, pre-electronic mechanical calculators and computers, electronic era computers, and modern computing (minicomputers, maniframes, personal computers, devices, and gaming consoles). George K. Thiruvathukal, A Mini-History of Computing, American Institute of Physics, College Park, MD, 2011.